any time minimums or other restrictions. We can take you across the state or across the street—the choice is yours! 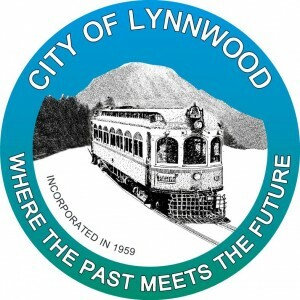 Locally owned and operated, White Glove has been Lynnwood limo service since 1992. What has kept us in business so long? Our commitment to high-quality service and complete customer satisfaction. Our vehicles are all top of the line and maintained to the highest standards with your comfort and safety in mind. But just as importantly, each and every one of our drivers is a highly trained professional, dedicated to providing a safe, relaxing and trouble free ride no matter where you’re going. We know that when you step into one of our vehicles, you’re putting your trust in us. That’s why each one of our drivers undergoes a rigorous screening and must maintain an impeccable driving record. No other Lynnwood limousine service has better limo operators than White Glove. Our uniformed drivers are always courteous and respectful, never rude or impatient. They’ll do whatever they can to make your luxury ride memorable and enjoyable. White Glove drivers will pick you up on time, and get you where you want to be when you want to be there. If there is ever a problem or change in plans, our drivers are trained to adapt to any situation and to do everything necessary to keep your ride safe and stress-free! We offer a full range of vehicles to suit every taste and budget. For larger parties, we offer a one-of-a-kind Hummer limo with comfortable seating for up to twenty. Don’t need something quite so big? Our stretch limos are perfect for smaller parties while still maintaining a commanding presence. Looking for something a little more modest? Perhaps one of our Lincoln Town Cars will suit your style. They’re perfect for a ride to the airport or a local concert. No matter which vehicle you choose, you’ll find it to be plush and comfortable, with plenty of little extras to make your ride even more enjoyable. Want to learn more about our services? Give us a call anytime. We’re available 24 hours a day, seven days a week! You can also reserve online by clicking the link on our website. Our friendly Lynnwood Limo staff is looking forward to serving you!